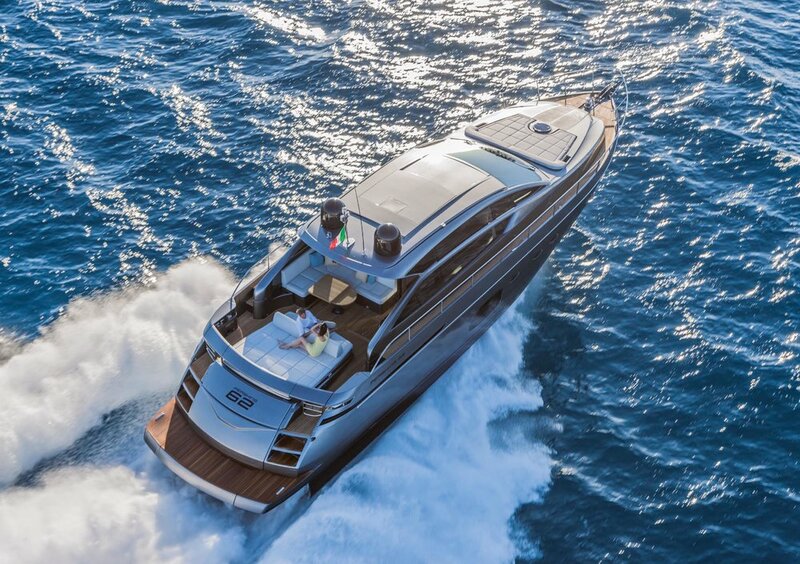 Flaunting its slender streamlined profile, Pershing 62 is impressive at a glance. 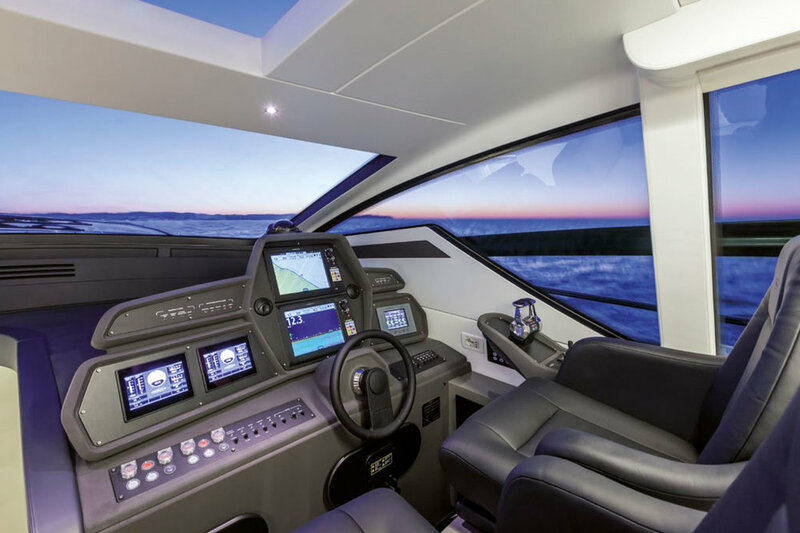 The line of the bottom and superstructure is designed to define a slender boat that ensures “fast berthing,” and is impressive with the aggressive profile and sports oriented personality. 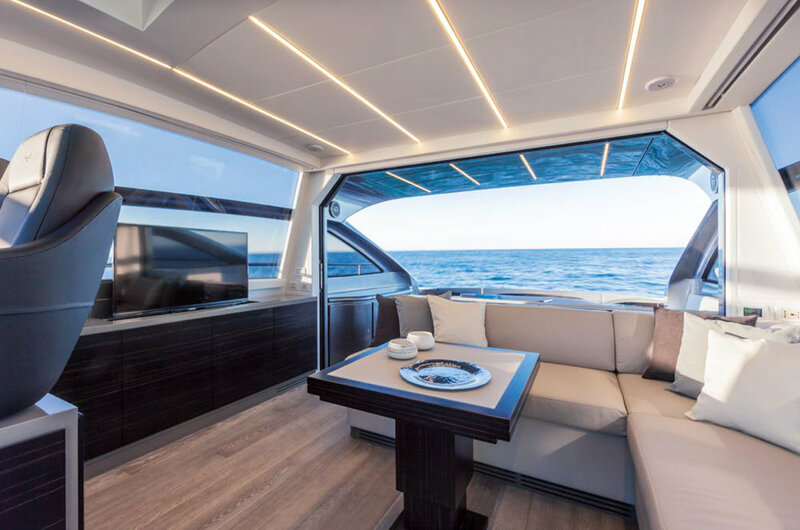 This image is also conveyed by the design of the hull, a typical feature of the new Pershing trend that fills the full beam master cabin at the centre of the boat with extraordinary light. 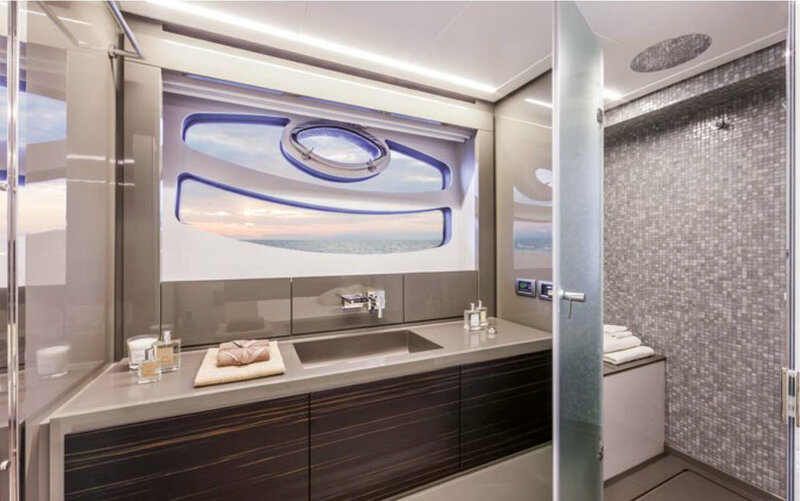 Even the VIP cabin at the bow has a double window with port-hole designed to enhance natural light. 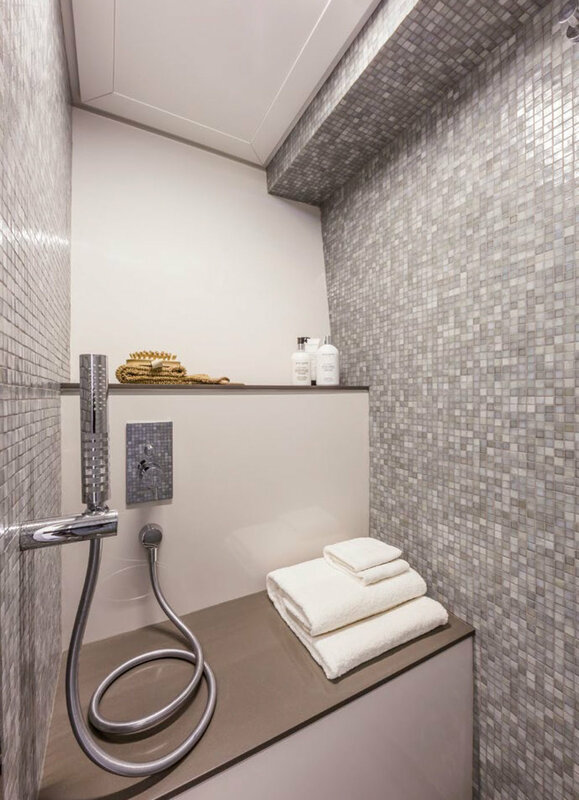 Two cabins - master, VIP and three baths - with a lower dinette.